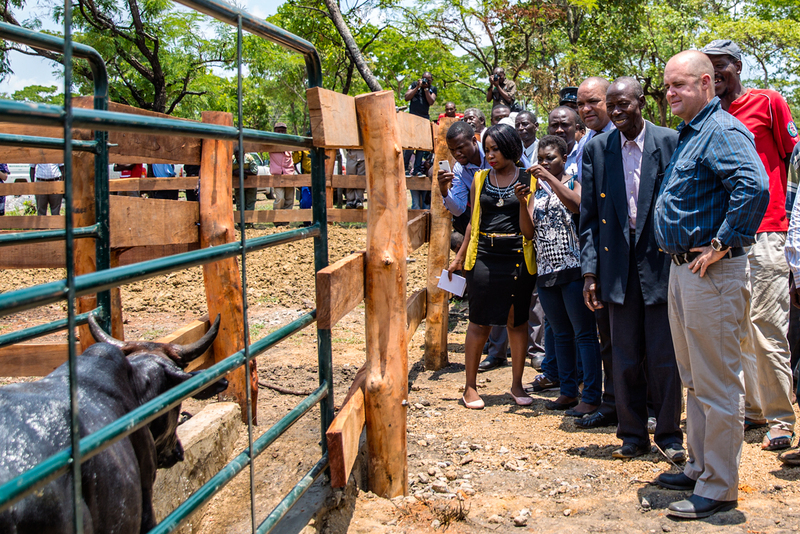 A new Community Livestock Centre was inaugurated by the Minister of Fisheries and Livestock, Hon. 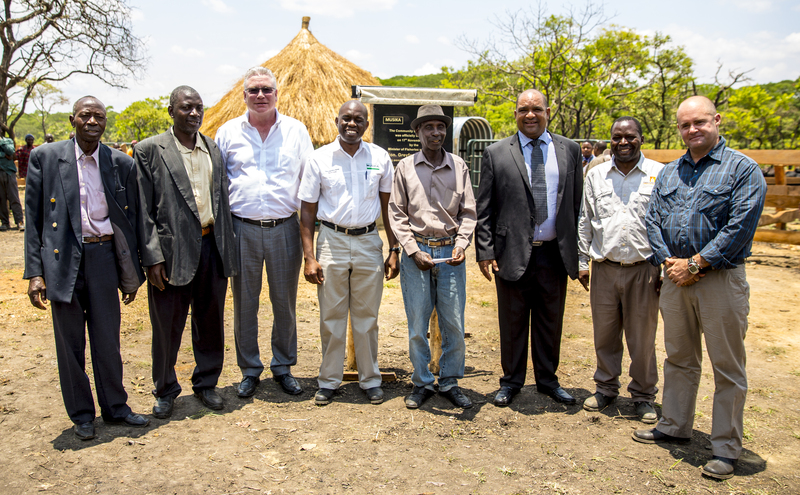 Greyford Monde, in Mumbwa district today, to support nearby farmers improve their livestock condition and access to markets. 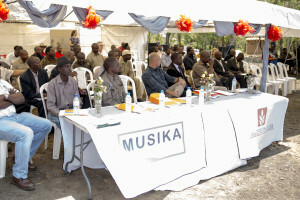 Deputy Minister of Agriculture, Hon Maxus Ngonga, Deputy Minister of Fisheries and Livestock, Hon Lawrence Evans, community leaders, district officials and small-scale farmers alike welcomed the centre as a way of strengthening the rural livestock supply-chain, enhancing livelihoods and fostering rural economic development. 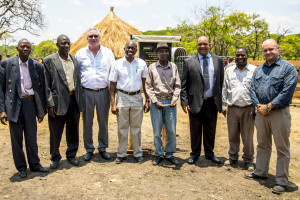 The Community Livestock Centre initiative grew from a partnership between veterinary firms who will provide extension services to smallholders, Amatheon Agri Zambia who will ensure a reliable output market for the animals, and Musika who facilitates market linkages between smallholder farmers and commercial companies through in-kind support. 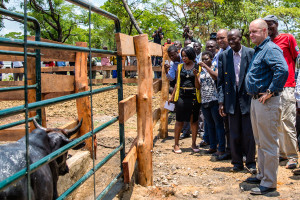 The centres will be used for effective disease prevention such as cattle dipping, while also serving as an organised marketing point for Amatheon Agri to buy cattle for their feedlots, exchange bulls for steers and sell heifers so farmers can improve their cattle breeds. The initiative is part of Amatheon Agri’s inclusive growth strategy that promotes the economic participation of rural communities. 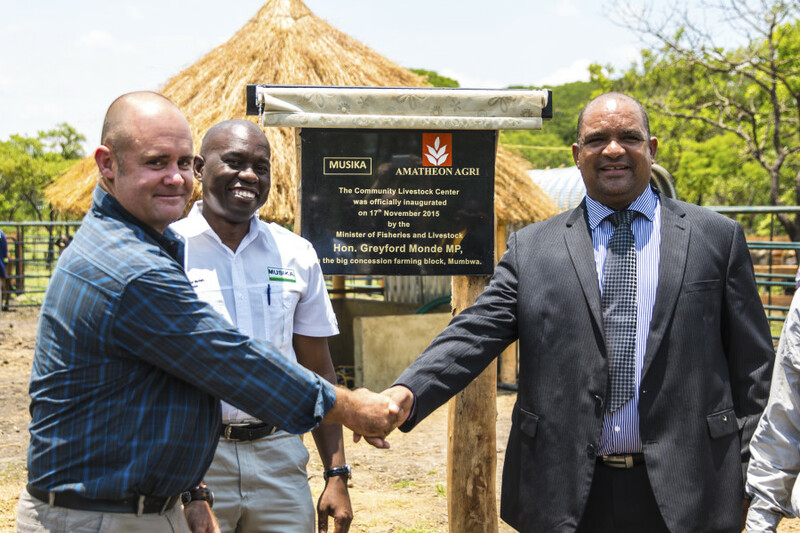 It complements the growing number of smallholders that have joined Amatheon Agri’s Outgrower programme and undertake trainings on conservation farming and farming as a business. In addition, ten mobile depots have been deployed around the Big Concession area that acts as central hubs for input sales and crop purchases. 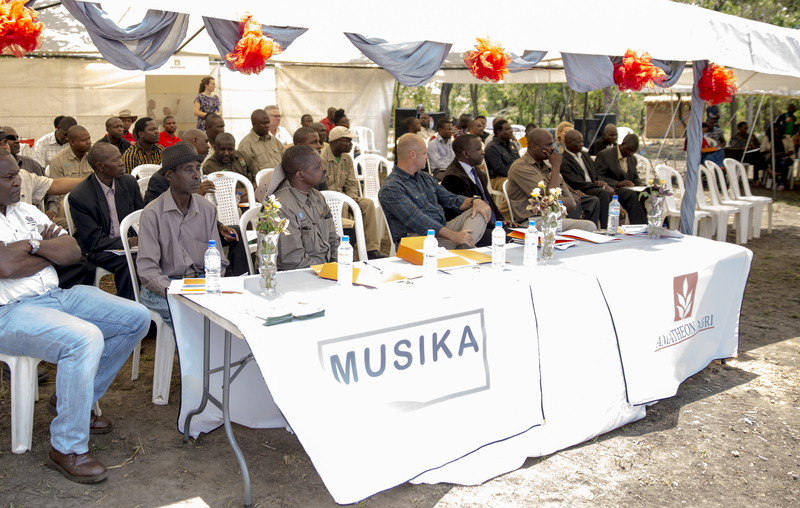 Approximately 3,500 farmers participate in the trainings while around 5,000 farmers have successfully traded with the company in Mumbwa district.